From An Affair to Remember to Legally Blonde, "chick flicks" have long been both championed and vilified by women and men, scholars and popular audiences. Like other forms of "chick culture," which the editors define as a group of mostly American and British popular culture media forms focused primarily on twenty- to thirtysomething, middle-class—and frequently college-educated—women, chick flicks have been accused of reinscribing traditional attitudes and reactionary roles for women. On the other hand, they have been embraced as pleasurable and potentially liberating entertainments, assisting women in negotiating the challenges of contemporary life. A companion to the successful anthology Chick Lit: The New Woman’s Fiction, this edited volume consists of 11 original essays, prefaced by an introduction situating chick flicks within the larger context of chick culture as well as women’s cinema. The essays consider chick flicks from a variety of angles, touching on issues of film history, female sexuality (heterosexual and homosexual), femininity, female friendship, age, race, ethnicity, class, consumerism, spectatorship, pleasure and gender definition. 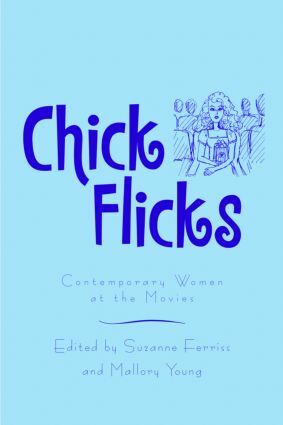 An afterword by feminist film theorist Karen Hollinger considers the chick flick’s transformation from the woman’s films of the ’40s to the friendship films of the ’80s and those of the "return to the classics" trend of the ’90s, while highlighting the value of the volume’s contributions to contemporary debates and sketching possibilities for further study.